I think most of us can agree that spring is one of the most beautiful times of the year, especially on the East Coast of Australia. This season is often described as the rebirth, renewal, and awakening of natural flora and fauna. The days are becoming longer, the weather is getting warmer and the time we spend relishing outside grows. With this in mind, now is the prime time we should be prepping our lawns as we slowly transition out of the dormant season. With a little bit of work, you can ensure your lawn has a great head-start for the warm summer days to come. The first tip we can give to you is feeding your lawn with a slow-releasing fertilizer. A slow releasing fertilizer is beneficial for releasing a steady amount of nutrients over 8 – 10 weeks. We recommend our spring blend lawn fertilizer which will ensure your turf stays robust and healthy for the summer season ahead. Keeping your turf hydrated will help the slow releasing fertilizer to break down. There is no point in using a good quality fertilizer if there is no water to help settle it in. For maximum absorption, we recommend using our under-lawn fertilizer alongside a regular watering schedule to achieve a lush and full look. It’s important to open up the soil underneath your turf. High traffic areas can cause the soil to be heavily compact, therefore reducing moisture retention and nutrient absorption. A handy-tip to aerate the soil is poking your garden fork into the soil or in larger areas using spiked sandals. Top dressing your lawn will give it a burst of fresh nutrients, even out any holes and make it easier for you to mow. It’s best to mow your turf before applying a quality soil or river-washed sand as it makes for a more even distribution. Even out your lawn by filling in the bare patches with new turf and replace any dead areas that arise. This will leave you with a fresh and full lawn, that’s also appealing to the eye. Ridding your lawn of any weeds (especially bhindis) will save you from a prickly situation. Hand-picking is easy in the smaller scaled garden however in large areas it’s best to use a herbicide. Be aware that you are using the right type of herbicide for your lawn variety. If you’re unsure then please feel free to contact one of our specialists. 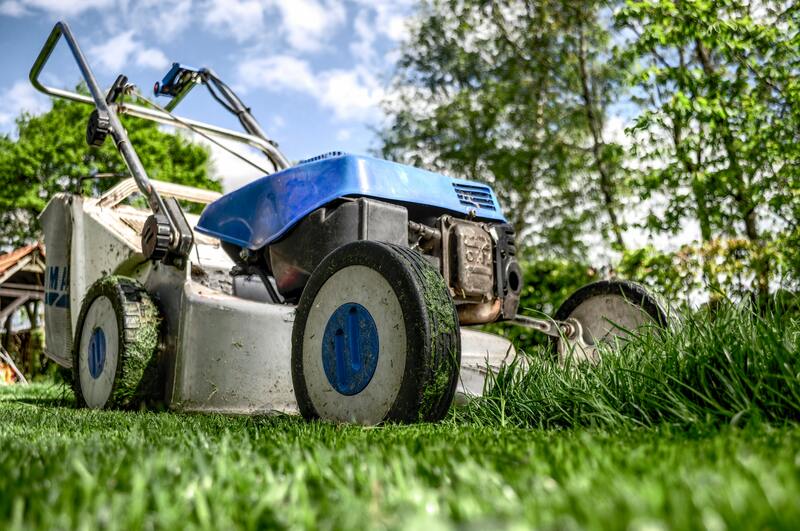 Servicing your gardening equipment is just as important as taking care of your turf. Checking your lawn mower for any broken or overused parts will save you time and money. Sharpening your mower blades will impact the neatness and health of your turf as well as ensuring your tools are running at peak performance. Consider lowering your mowing blades to suit the season. Longer days mean increased sun exposure and lawn growth! By following these handy tips you can ensure that your turf will be in tip-top shape for the growing season ahead. Not only that, but you can also save yourself some serious $$$ and days spent in the Australian heat fixing problems that could have been avoided. If you have any questions or need any further tips to help prepare your turf this spring, the local and friendly team at Go Turf are happy to help! We are the biggest (and best) turf suppliers servicing the Sunshine Coast and Brisbane. Give us a call on 1300 781 175. Need some turf? Get a free quote or use our online calculator to find out our competitive prices.